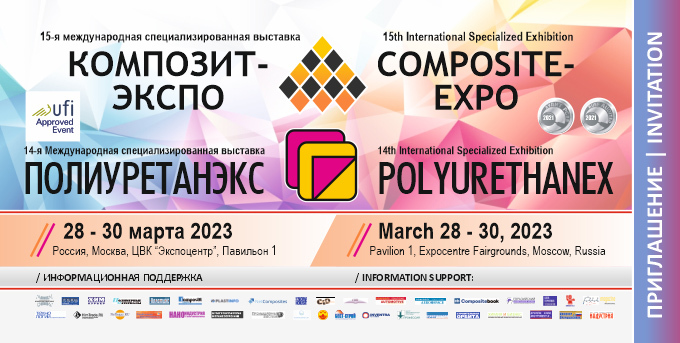 Use the online registration form and get your free invitation for Composite-Expo 2019. The invitation is valid for the Polyurethanex Exhibition as well. You shoud PRINT invitation after registration! By filling-in the registration form below you will get an invitation for free entrance to exhibition area Pavilion 1 of the Expocentre Fairgrounds the 12th edition of the Composite-Expo Exhibition that is held on April 23 - 25, 2019. April 23 - 24: 10:00 a.m. - 6:00 p.m.
April 25: 10:00 a.m. - 4:00 p.m.
1. Please, fill in the form below with your contact details and the number of invitations needed.